Simple Coffee Brewing Guides: How To Brew Coffee At Home #Infographic ~ Visualistan '+g+"
There are a few things in this world that people of taste seem to like the most. Coffee is one of them. It is loved people of sophistication and taste around the world. What is not so well known is that people of sophistication and taste also like fun stuff. They may try and hide some of their love for the frivolous and the fun – but it is there. As one of the most popular toys of all time LEGO is known by all to be fun – even if you claim not to like it!! 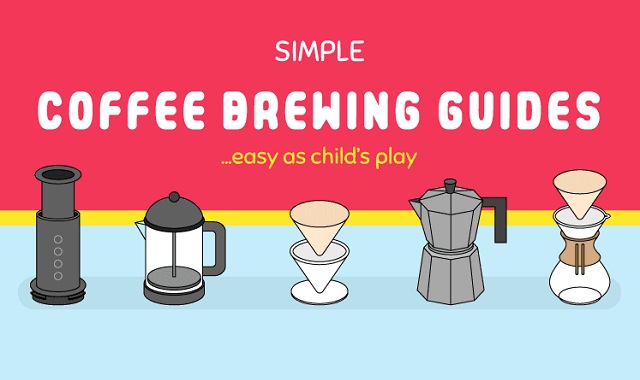 This infographic looks at some of the most popular ways to brew coffee – and if you didn’t know it’s easy as child’s play! So what better way to present these guides but in the style of LEGO. That is what the Coffee Tasting Club – a seller of coffee beans and coffee subscriptions in the UK - have done. I think that you will agree that this novel and entertaining approach to teaching people the joys of brewing your won coffee informative and fun!